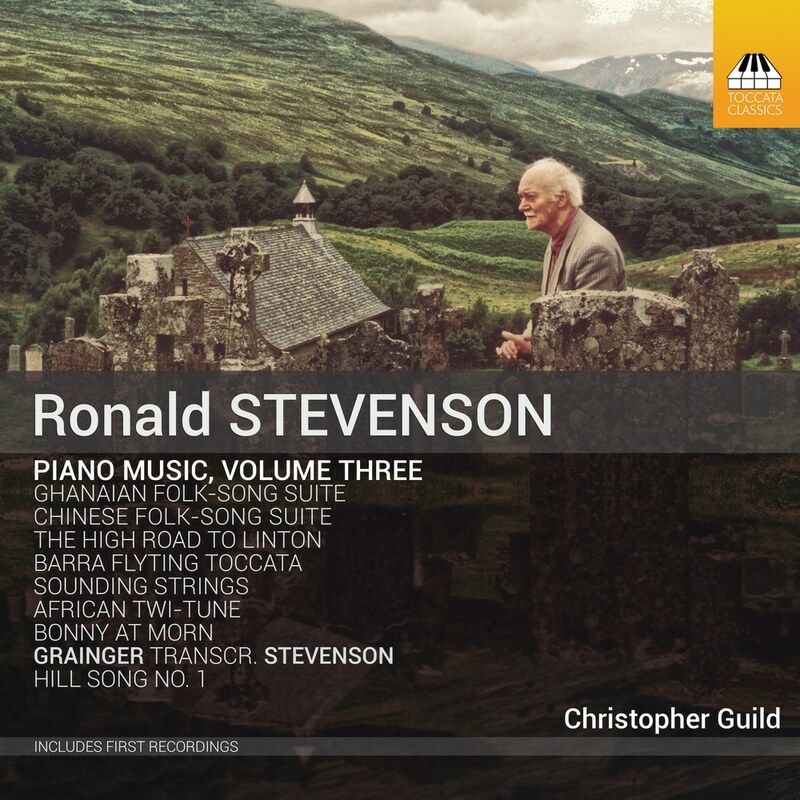 The Scottish composer Ronald Stevenson (1928–2015) was a virtuoso concert pianist in the tradition of Beethoven, Liszt and Rachmaninov but, like his friend Percy Grainger, he was also fascinated by the folk musics of the world. This third album of his piano music juxtaposes his arrangements of Celtic – Breton, Cornish, Irish, Manx, Scots and Welsh – folk-songs and dances with his Chinese and Ghanaian Folk-Song Suites and his resourceful transcription of Grainger’s visionary Hill Song No. 1 for wind band, here realised as an expansive tone-poem for the piano.